I tucked this recipe away after coming across it in a magazine a couple of years ago. It originally called for orange juice and orange zest to give it some zing. I didn't have any orange juice on hand so I substituted it with apple juice. 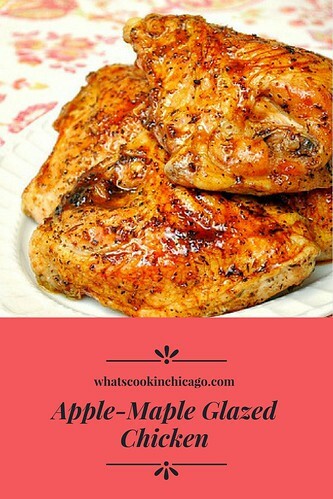 I loved how the apple and maple flavors worked so well together. It's truly a fall flavored dish that can be carried into the cold winter. You can prepare this with boneless, skinless chicken breasts if you wish... however just decrease the baking time so it doesn't overcook. If you like more apple flavor, try using apple cider instead! The chicken went especially well with maple roasted baby carrots and mashed potatoes. In a small saucepan, combine the apple juice, syrup, vinegar, mustard, 1/2 teaspoon salt and 1/4 teaspoon pepper. Bring to a boil; cook until liquid is reduced to 1/2 cup, about 5 minutes. Stir in thyme, rosemary and garlic. Remove from the heat; set aside. 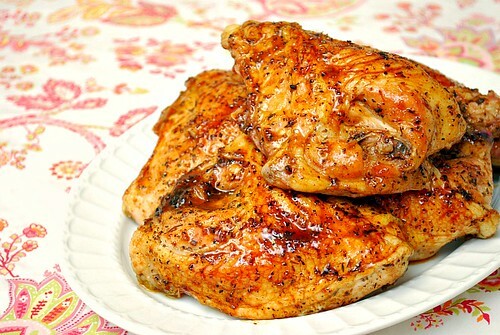 Sprinkle chicken with remaining salt and pepper. 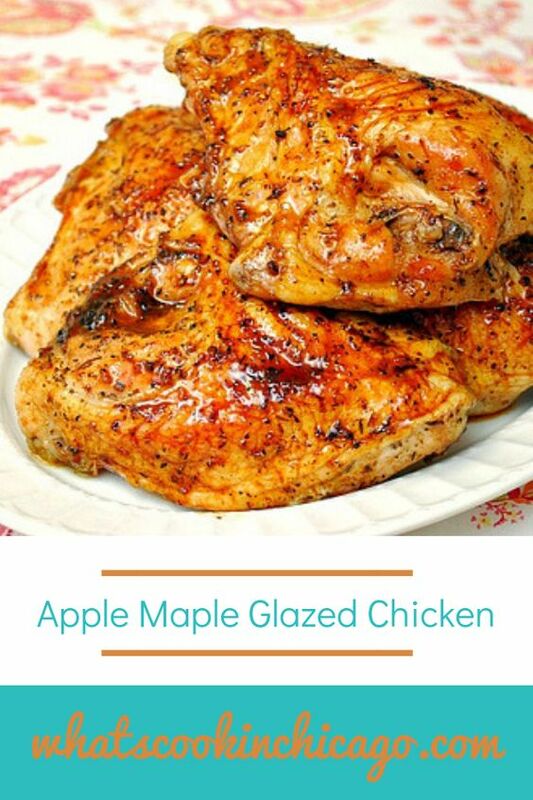 Bake chicken in the preheated oven, uncovered for 30-45 minutes or until a meat thermometer reads 170°, basting frequently with apple juice/maple mixture. This looks SOOOO delicious!! I pinned it on pinterest and will definitely be making it! I came for a visit. Love the new look. classic new logo on the header. Thanks for posting this delicious and simple recipe. This looks great! Going to try it tonight with some sweet potatoes.